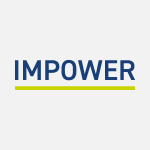 Hertfordshire County Council has announced a partnership with public sector consultancy IMPOWER in an effort to increase its number of foster carers to meet the needs of vulnerable children and young people. There are over 1,000 ‘looked after’ children in Hertfordshire and the Council wants to grow the number of foster carers who can provide these local vulnerable children with the care, stability and support they deserve, by 10%. The Council is now working with the consultancy, IMPOWER, to use cutting-edge behavioural insight to develop a deeper understanding of what moves residents of Hertfordshire to take up the challenge of fostering and what service and support local foster carers need to provide outstanding outcomes for vulnerable children. This new and innovative approach to the challenge puts Hertfordshire at the forefront of national thinking and ensures that the Council can continue to listen and respond to what local carers need, based on their ideas and involvement, as well as knowing much more about their shared values and motivations. Hertfordshire’s fostering service was recently rated as Good with Outstanding elements by Ofsted and the work with IMPOWER is helping to build on that success. It can cost more than £25,000 per year more to source foster care placements from private agencies so the financial case is clear too and IMPOWER will be paid according to the results of the work. Richard Roberts, Lead Councillor for Children’s Services said: “This work puts our fantastic carers at the centre of everything we do to recruit and support them and allows us to build on the high quality service we provide. “The approach is refreshing because it recognises that people are not all the same and addresses a research gap about how to understand, target and respond to those different values and motivations. Jeremy Cooper, IMPOWER Director said: “We’re delighted to be helping Hertfordshire find and support foster carers, improve outcomes for looked after children and provide value for money in the process. Hertfordshire County Council’s Fostering Service has recently received an Ofsted inspection result of ‘Good’ with ‘Outstanding’ outcomes for children and young people. The inspection rated the supervision, training and support given to carers very highly. Jeremy Cooper is a Director at IMPOWER. To contact him to discuss this project please e-mail jcooper@impower.co.uk or call 020 7017 8030. Alastair Thompson is a Manager at IMPOWER. To contact him to discuss this project please email athompson@impower.co.uk or call 020 7017 8030.